Cupertino Robotics, a proud host of 12 individual teams, requires a large amount of money and micromanagement for entrance to competitions, supplies, and resources. 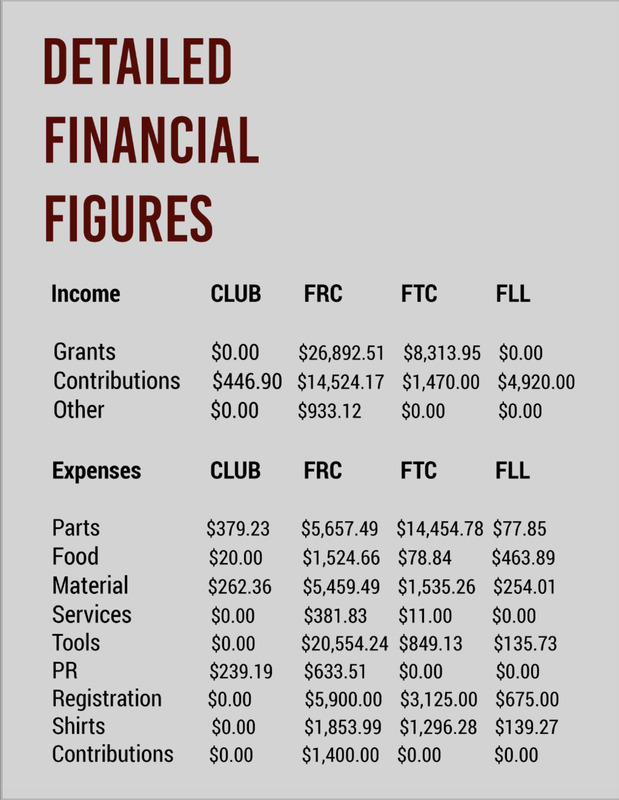 The Finance division tracks all these expenses and ensures that each team is receiving enough money to attend competitions and build. A spreadsheet is used to organize and allocate the funds. The allocations are approved by our lead mentor to make sure that the money is fairly distributed and is a reasonable amount. Every season, a budget is calculated to reflect the total sum received and spent by Cupertino Robotics. The report includes specific categories for PR, Travel/Service, Tools, and alike to allow readers to have a more holistic understanding of the expenses. Additionally, graphs such as pie charts are used to present the information in an easy manner to read. At the end of every season, the report is sent to all Cupertino High School Robotics sponsors allowing corporations to view the financial situation of the club. This allows us to be as transparent as possible so companies and our community receives an accurate interpretation. All this being said, Cupertino Robotics is a school club whose only income comes from generous parent contributions, corporate grants, and fundraisers. It truly is help from the community that raises and enhances the robotics program, allowing us to reach out to more children. We are thankful for your support and hope that you, our community, continue to help out Cupertino High School Robotics!